2 x External Switches For Relay Control Outputs for garage doors, lighting, trunk, etc. Depending on the vehicle, in-car monitors are installed in a variety of heights and angles, and this sometimes results in reduced visibility due to reflected glare from sunlight. Kenwood’s solution is the exclusive Reverse Tilt mechanism: in addition to the traditional tilt mechanism that allows the bottom of the monitor to be tilted forward over 5 positions, Reverse Tilt also allows the top of the monitor to tilt forward to eliminate reflected glare. 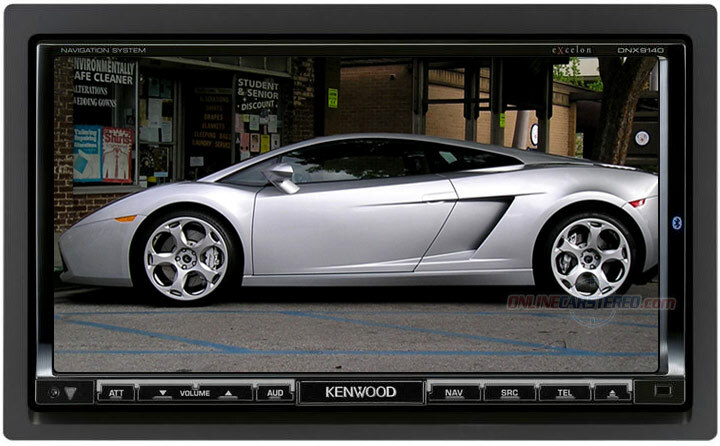 Kenwood Multimedia products offer more value by including a Sirius SSP interface. By simply adding a Kenwood CA-SR20V adapter cable, you can connect a Sirius SC-C1C tuner or a SC-VDOC1 car dock cradle for your portable Sirius tune.